Kenneth Yang was only 15 years old when his father, George Yang, brought him along to attend an exposure training in McDonald’s in Hong Kong. During that time, Yang saw how passionate his father was in bringing McDonald’s to the Philippines. The elder Yang traveled to Hong Kong for training on his own initiative even without the assurance that he will get the franchise from the US. When his father finally won the right to operate McDonald’s, Yang shared the same passion in the business as his father by volunteering to work as part-time crew in one of their first branches while still studying in college. Yang wanted to help his father grow the business by learning more about the ins and outs of operations. Right after he graduated, he decided to work full-time as an entry-level branch management trainee that eventually promoted him as a store manager. Soon, as his experience grew, he applied for work in the purchasing department and later on, in quality assurance and business development dealing with site selection and real estate acquisitions. Unlike the typical family business, McDonald’s PH was organized to be professionally managed using systems patterned after best practices from the US. Yang had to work his way through the company by reporting to different managers in the organization. 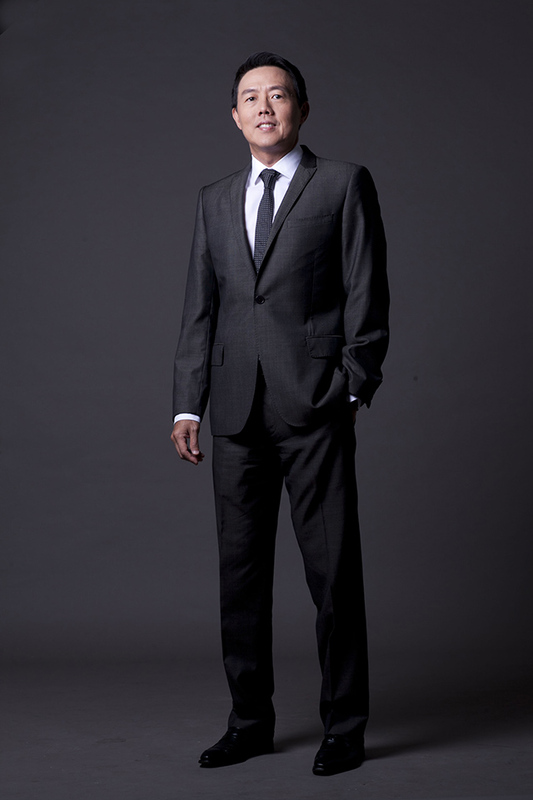 In 2003, 22 years after McDonald’s PH was founded, Yang, having earned the merits of leading the company, took over the company as president and chief executive officer with less than 250 branches. 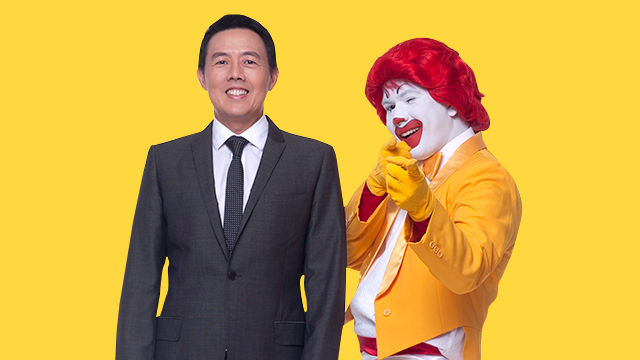 Today, under the leadership of Yang, McDonald’s PH has more than doubled to 570 in less than fifteen years, making it one of the leading fast-food chains in the country. In a competitive market like the fast-food industry, customer satisfaction is a key differentiator. Customers can easily switch to competitors if they are not satisfied with your products and services. Focusing on providing better service and quality goods with increasing customer loyalty in mind can help the business stand out of the competition in the long-term. “Competition is inevitable,” Yang says. “There is a lot of competition out there, not just in the quick service restaurant market, but also from convenience stores. We accept that the competition is there and we try to compete by giving our best to the customers through value pricing, quality products and a comfortable store environment. Finding better ways to do traditional practices does not only help a business become more competitive but also help develop new markets that can lead to bigger opportunities. “A lot of innovation will come from understanding your customer and seeing their lifestyle change,” Yang says. “Before, it was the drive-thru but because of lifestyle changes, deliveries have become very important. 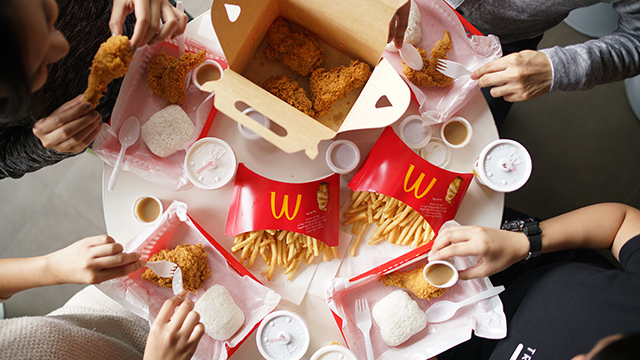 McDelivery contributes a big portion of our revenues now. “Another innovation we made was the 24-hour store,” he adds. “At that time, the Philippines was just starting the BPO industry, but today, we made almost all our store 24 hours. Millennials are different because they grew up with technology and social media. They are attached to their smartphones and value authentic marketing. Understanding what millennials want is key to capturing this active market. “Communicating with the millennials is very important through social media, digital marketing, digital commerce and, later, maybe the digital experience also,” Yang says. “That is important to us because the customers today are different. So even in McDelivery, they can order through app, through mobile, through the website and in the future, that will also happen in the restaurant. Investing in training is critical in driving productivity in the business because well-trained employees will not only work competently but also be happier at work. Providing training to employees is more than sending staff and managers to a weekend course. It’s about customizing the training to both the needs of the business and employees. “If you invest in your people they will do a great job for you,” Yang says. “You invest in them with the right skills and the right mindset and, in turn, they will also deliver to meet the needs of the customer. McDonald’s in the Philippines today—together with our franchisees—we have about 60,000 people and training is a key critical need. Related story: Can PLDT Tempt Consumers to Sign Up for Its Paymaya Mobile Wallet with McDonald's Burgers and Fries? Every market has its own culture and peculiarities. Adapting the business to the local market helps in customizing the right value proposition and improving overall customer satisfaction. Companies that localize their products and services tend to see improvements in consumer engagement, increasing their revenues and customer base. “Filipinos are very value-conscious and purchasing power is not that high so we have to create products that fit the local taste and are affordable,” Yang says. “We offer McDonald’s global products like the hamburger, cheeseburger and McNuggets which comprise our core menu, but we also offer local favorites such as Chicken Mcdo, which we made better a few years ago, and Chicken Fillet, which is our value priced product.